Submitted photo Adat Chaverim plans to build a new synagogue on 5.1 acres at the northwest corner of Lebanon Road and Batsford Drive in Frisco — about 4.2 miles north of its present location. 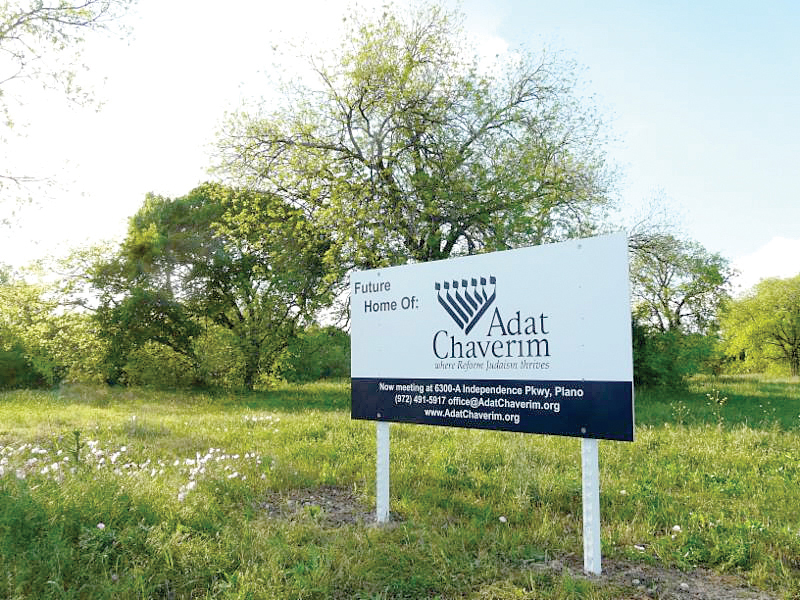 COLLIN COUNTY — Adat Chaverim — Collin County’s only URJ-affiliated Reform congregation — has secured land on which it intends to eventually build a new synagogue. The $1.92 million land purchase is part of an ongoing capital campaign. It is expected to ensure a legacy for both the 215 families who currently comprise the congregation and future congregants. Adat Chaverim, founded in 1997, is located at 6300 Independence Pkwy, Ste. A in Plano. The new land is located on 5.1 acres at the northwest corner of Lebanon Road and Batsford Drive in Frisco — about 4.2 miles north of the current synagogue. It is close to the intersection of Independence and the Sam Rayburn Tollway. Steve Jacobs, president of Adat Chaverim, said congregation officials put a contract on the new land March 5. However, Jacobs said, nothing will be immediately constructed. Rabbi Benjamin D. Sternman said while this is his first experience with a capital campaign, he believes the process is moving along quite smoothly. The rabbi said at least 96 percent of the members support the purchase of a new synagogue. “I really do believe we couldn’t be undergoing a capital campaign in any better condition than we’re in right now,” Rabbi Sternman said. It’s no secret that much of the development in this area is driven by growth. The Frisco Independent School District, in particular, could face population increases — possibly leapfrogging from 56,904 in 2016 to 71,499 by 2021, according to www.friscoisd.org/about/district-overview/fast-growth. “So, if you think about the growth of the population and the fact we are the only (URJ-affiliated) Reform congregation in Collin County and that this is our first time to buy land … you’ll realize this is an exciting time,” Rabbi Sternman said. The current synagogue is at a shopping center near other businesses and buildings, which synagogue leaders have found problematic. Rabbi Sternman said there is definitely something to be said about having one’s own building. “There are times when people can’t find us — and we’re right at he corner of the shopping center,” he said. The rabbi said the shared experience of acquiring land for a future synagogue building has brought the congregation closer. The in-depth research and activities that led to the decision to acquire this specific property were presented to the congregation by Capital Campaign Committee member Howard Flushman. The project began with 85 properties under review and a very thorough study. That list was narrowed and a specific property selected and approved around the first of the year, and the main capital campaign committee was formed. Synagogue officials later reviewed the property with their architect firm, Landau/Zinder of Princeton, N.J.
Jacobs, meanwhile, offered an analogy for the situation. 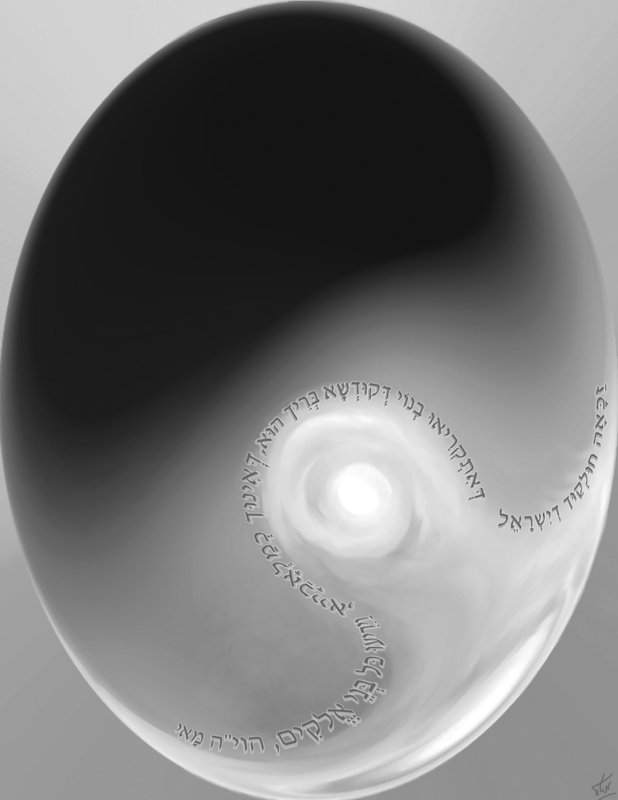 It revolves around a Talmudic quote and an older man planting a tree. Simply put, the congregants of Adat Chaverim plan to build a new synagogue in this portion of North Texas, Jacobs said — not necessarily for themselves, but definitely for the benefit of the generations to come. “That’s why I push so hard,” he said. Adat Chaverim started off with eight families in someone’s living room. That group expanded to 30 families. Then, 40. Then 50. The synagogue continued to grow over time, changing locations when space constraints demanded. 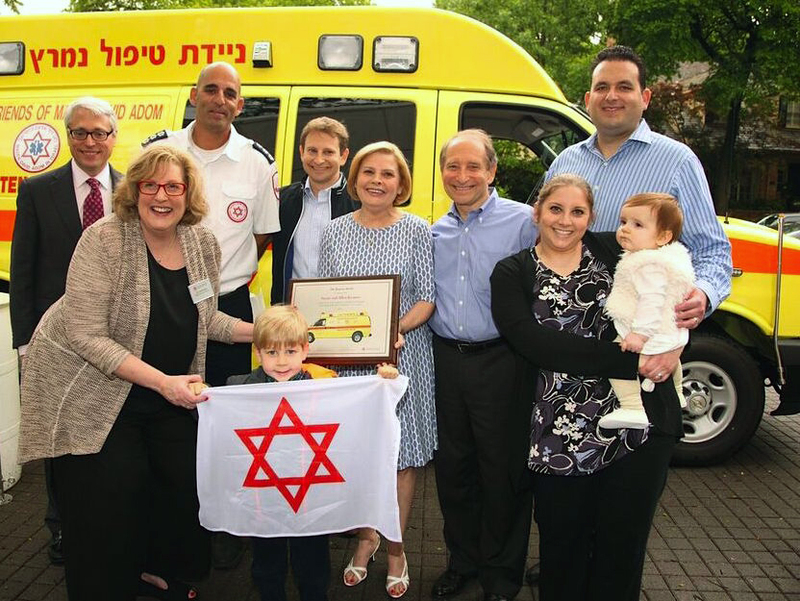 The Magen David Adom ambulance was dedicated by Susan and Allyn Kramer in Dallas on April 18. They are pictured with their family along with Cari Immerman, Midwest regional director of American Friends of Magen David Adom; Ori Shaham, head of the Israel logistics department of Magen David Adom and Temple Emanu-El Rabbi David Stern. DALLAS — The yellow Magen David Adom mobile intensive care unit ambulance that area residents Allyn and Susan Kramer purchased for Israel is quite strong — designed for the severest of trauma situations. This yellow unit contains advanced equipment and is known commonly as an “emergency room on wheels.” It will soon be on its way to Northern Israel. The inner workings and functions of this ambulance were explained Sunday to the school’s kindergarten, first and second graders by Cari Immerman, Midwest regional director of American Friends of Magen David Adom; and Ori Shaham, head of the Israel logistics department of Magen David Adom. The students — especially the younger ones — were very impressed. Their eyes filled with wonder as they learned more. Rabbi Amy Ross, director of Youth Learning + Engagement, said Sunday that Temple Emanu-El’s entire school would cycle through the synagogue at some point that day for the same lessons and “inspection” opportunity. “Each class is getting a picture with the ambulance — first kindergarten then first and second grade,” the rabbi said. Temple Emanu-El was the first of several stops the ambulance made Sunday and Monday, including the Points for Peace basketball tournament at the Aaron Family JCC, Congregation Beth Torah and area day schools among others. Back at Temple Emanu-El, Immerman discussed the many functions of the ambulance with the young students. “Can you guess how many babies get born in an ambulance in Israel?” Immerman asked them. One of the children could be heard whispering an answer to another student. A couple of tries at an answer were then made — but the number was too low. Immerman went ahead and answered the question. Shaham had his own statistic about helping babies be born. “I took care of about 100 in my career,” he told the children, who were equally astonished by his answer. The Kramers, meanwhile, said they aren’t looking for attention. They told the TJP they just want to help save Jewish lives. Since June 2006, Magen David Adom has been officially recognized by the International Committee of the Red Cross as the national aid society of the state of Israel under the Geneva Conventions, and a member of the International Federation of Red Cross and Red Crescent Societies. MDA is not government funded and is in great need of new ambulances, major equipment and a new underground blood center. MDA operates Israel’s only blood bank and its above ground facility in Ramat Gan is vulnerable to rocket attacks. According to literature, Magen David Adom must add 100 new ambulances to their fleet to replace those returned from service to meet the needs to Israel’s growing population and to expand coverage on the Israel border and to be fully prepared to evacuate injured military personnel. Be it known that each of the 410 units of our national park system are doing their utmost to encourage all Americans and foreign visitors as well, to come visit these treasures which are protected by the women and men of the National Park Service, the 100-year-old branch of the Department of Interior. It was in 1916 that the National Park Service was established by President Woodrow Wilson, resulting in the formation of a group of professionally trained park protectors and educators known as Park Rangers. By 1918, the Park Rangers had completely replaced units of the U.S. Army Calvary who were being sent to help our allies fight the war in Europe. While today’s National Park Rangers may be more educated and specialized than their forbearers, their primary responsibility is still the protection of the park and its visitors. Each park unit has its unique history and set of attractions. While perhaps planning for a family vacation, you might consider a side trip to a NPS unit nearby, a full-fledged camping trip in a campground, or — for more advanced challenges — a backcountry hike or canoe trip. For the more physically challenged, many parks have shorter, wheelchair accessible trails. Larger parks may offer programs for various age groups as well as for families. If you are not into the “great outdoors,” there are numerous other NPS Sites you can find which are outstanding, one-of-a kind, and often historic, located all over the USA. One of the finest examples of American Colonial religious architecture is Touro Synagogue National Historic Site located in Newport, Rhode Island. Touro was established in 1763 by the Sephardic Spanish and Portuguese community and continues to function as a Jewish synagogue to this day. Now the home of Congregation Jeshuat Israel, Touro’s status as a National Historic Site provides both federal protection and technical assistance for the preservation of the building. Want to learn more about our national parks? Just Google nps.gov or visit your public library to begin what can be a wonderful adventure for you and your loved ones at the National Park Services 100th birthday celebration. Happy healthy, hearty mazel tov to Arvie Cooper, who will celebrate his 90th birthday April 30. Arvie served in the US Army from 1943-1946. He was a gunner in the Philippines. After the war, he came home and married his high school sweetheart Jean Greenbaum in a 1937 Harley Davidson motorcycle. Jean rode in the sidecar. They were married in August of 1946 and will soon celebrate their 70th wedding anniversary. They had three children, Mark, Rick and Scott, three lovely daughters-in-law, six grandchildren and two great-grandchildren. Congratulations on a wonderful life, and many more years to come! Beneath the Helmet is the next installment of Congregation Ahavath Sholom’s Showtimes Film Series. It will screen at 2 p.m., Sunday, May 1. Beneath the Helmet is a coming-of-age story which follows the journey of five Israeli high-school graduates who are drafted into the army to defend their country. At the age of 18, away from their homes, families and friends, these young individuals undergo a demanding, inspiring journey, revealing the core of who they are and who they want to be. Brought to the community by the generosity of special donors, this film illustrates how these young soldiers are defending not only their homes, but also the values of peace, equality, opportunity, democracy, religious tolerance and women’s rights. Please note the time is different from usual Showtimes presentations because following the movie, participants will have the opportunity to Skype with one of the film’s subjects. As always, the films are free and open to the community. They are CAS’ gift to the community with support from the Jewish Federation of Fort Worth and Tarrant County. For more information please call Congregation Ahavath Sholom at 817-731-4721. “My prayer is that my art will bring people hope and inspiration,” says the Mansfield resident who has served on the board of the Dallas Holocaust Museum/Center for Education and Tolerance. A meet-the-artist reception is planned for Friday, May 6, during the Oneg Shabbat. The reception will begin before 9 p.m.
A daughter of Holocaust survivors, Berman says she subconsciously channeled the Shoah through her art. As a child, she filled sketchbooks with pages of sad, haunting eyes without understanding why or where they came from. In 1996, after years working in fashion design and medicine, she turned her full-time attention to art. Her initial goal was to create three paintings: one about her mother, a survivor of Auschwitz and the death march from Bergen Belsen; another about her father, a partisan fighter in WWII; and a third “to show the outcome of their struggles.” As she painted, those ghostly eyes reappeared on the canvas, but this time within the framework of the Holocaust. Then she understood the mystery of those disturbing eyes. Born in Israel, Berman and her family immigrated to New York City in 1964 when she was 12. Her father, who fought in the Israel Defense Forces, wanted to leave warfare behind. Julie went to Jamaica High School in Queens, took summer art classes at Cooper Union College, and received a degree in fashion design from New York’s Fashion Institute of Technology. She is married to Joseph Berman, a pioneering orthopedic surgeon and sports-medicine specialist who practices in Arlington. The couple have two grown children. A number of Berman’s paintings are part of a traveling art show sponsored by the Dallas Holocaust Museum and called “The Color of Memory: Art by Two Daughters of the Holocaust.” She is involved with Chabad of Arlington and the Mid-Cities and is designing ark doors for the Chabad House. She was among the founders of the Texas Jewish Arts Association. To see her work online, check out her Web page, http://www.meetal.com/. For the 15th consecutive year, Congregation Beth Torah Men’s Club presents its annual 24-Hour Reading of the Names and Holocaust Remembrance Vigil, North Texas’ only Reading of the Names event. Reading of the Names is an annual program in which volunteers sign up to read the names of those who perished in the Holocaust. The names are read continuously for 24 hours. Volunteers can sign up to read for 15 minutes or more. Many of the Holocaust victims’ names have not been mentioned or spoken in over 70 years. Most of the time, the victims were only known by a number, and were never given a proper memorial. The Dallas Community has the opportunity to keep their memory alive by reading and/or listening to the names, and honor the 11 million who were mass murdered. The reading will start at 9 p.m. Saturday, April 30 and end at 9 p.m. Sunday, May 1. This research will be studied and discussed in the hope that learning and humanity are capable of finding light — even in the darkest of places. Dr. Ozsvath’s book deals with her first understanding of the Holocaust. It was then, as a young child, when she heard fugitives from Austria and Hungry talking about the Nazis. Dr. Ozsvath will be available after the program for a book signing. The Blue Cross Blue Shield Voices of Diversity and Congregation Beth Torah Singers will perform and community members who have participated in the Reading of the Names/Holocaust Remembrance Vigil in the past, will share personal reflections. Participants will include Mayor Paul Voelker, Richardson; Rabbi Elana Zelony, Congregation Beth Torah; Dr. Douglas B. Skinner, Northway Christian Church; Dr. Robert Chishold, Jr., Dallas Theological Seminary; Dr. Robert Hunt, Global Theological Education & The Center for Evangelism & Missional Church Studies at SMU; Dr. Michael Perry, King’s Right Hand Ministries; Doc Vranici, Albanian American Cultural Center; Dr. Mohamed Lazzouni, Islamic Association of Collin County; Muhammad Samad, Islamic Association of North Texas; Fussell Diwa, Biblical Community Church; Pride Alliance and Diversity Committees from Blue Cross Blue Shield in Richardson; leaders of the LGBT, Masonic, Esperanto-USA, the Albanian, Christian, Muslim and Jewish communities; and various religious, school, organizations, and youth representatives. Individuals from Israel, Germany, and others around the country will Skype in to the program to read names. The sign up to read the names of Holocaust Victims is on the board in Beth Torah’s lobby. Those interested also can call the Synagogue’s office at 972-234-1542. Those who prefer to listen to the names can stop by at any time during the 24 hours. Whether you read names or “give witness” by listening to the reading of the names, please join in this community event to remember all who were lost in the Holocaust. In continuing its observance and celebration of its 50th anniversary, Temple Shalom will have a Reunion of all confirmands from the past 50 years at Erev Shabbat service May 6. This reunion will be celebrated in conjunction with the Confirmation of the Class of 2016. Rabbi Andrew Paley said that he looks forward to welcoming confirmands from each of the past decades including those who have had their own children confirmed. The past classes will be welcomed and each group will be able to meet once again with old friends and renew this milestone from their teen years. For more information contact Temple Shalom, 972-661-1810 or worship@templeshalomdallas.org. It’s time to celebrate the power of “Mom” while getting the whole family moving. The 30th annual Bagel Run, hosted on Mother’s Day 2016, promises to be a must-attend event for the entire family. Coordinated by The J, and managed by Compton Time and Measure, the race has three options: 10k, 5k and Kids K. Runners of all levels and ages are encouraged to participate. The race concludes with a delicious bagel buffet for all runners. The Bagel Run will be held Sunday, May 8 at 7900 Northaven Road in Dallas beginning at 7 a.m. with registration and packet pick up. Advance registration is $25. Day of registration for individuals is $30. Special pricing for families (two adults and up to three children) is available for $40 in advance and $55 day of. Kids ages four through 13 are just $8 for any race. Registration is available online. Awards will be presented in several different age categories. All children participating in the Kids K will also receive a medal. Runners and walkers should be adequately prepared for participation in the Bagel Run. Appropriate training and medical review should be completed before participating. Several training guides are available and provide recommendations for training. Sponsors for the 2016 Bagel Run include: Aid Station —Jack and Janet Baum, Cindy’s Restaurant Corporation, Kahn Mechanical, Key-Whitman Eye Center, Mark and Carol Kreditor & Family, Lieberman Family Wellness Center, PSW Homes, Reagan Chirosport Center, The Julie and Mike Weinberg Family Pacesetter — Carol and Steven Aaron, Neil Beckerman, Barbi and Scott Cohen, Lisa and David Genecov, Zev Shulkin, Wickman Agency of Allstate, Whole Foods; and Contender — Gary Bradshaw Hodges Capital, Hodges Capital Holdings, Inc., Laurie and David Judson, Liz and Robert Liener, Reliable Plant Maintenance Inc., Marilyn and Donald H. Schaffer, Celia and Larry Schoenbrun, Sentry Lacross. Yafit Josephson will bring her critically acclaimed, one woman show to the stage at Congregation Shearith Israel when the Israel Dallas Center hosts New Eyes. The program begins at 7 p.m., Sunday, May 8. Cost is $45. New Eyes, which made its debut in LA in 2010, tells the story of Yafit Josephson, and Israeli woman who after her IDF service travels to LA to pursue her dream of becoming an actress. “Just as her native country wrestles with the world’s false perceptions, Yafit must decide how far she is willing to go to challenge, change, or accept how others see her, and what she is willing to risk to fulfill her dreams and destiny,” says the shows website. In the play, Yafit portrays 18 characters from more than five countries. For more information, contact Anat Solomon, director of the Israel Dallas Center at 972-559-9545 or israeldallascenter@shearith.org. 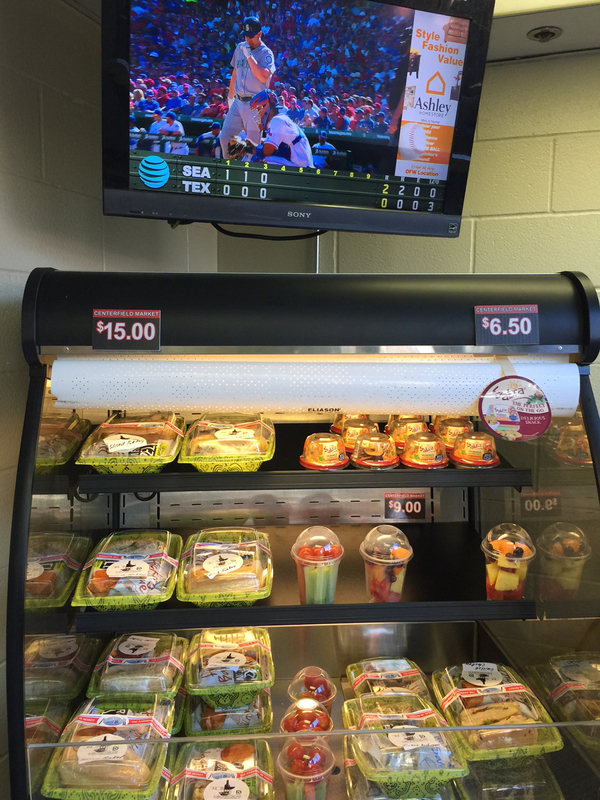 ARLINGTON — Kosher food is now being served at Texas Rangers games at Globe Life Park in Arlington. 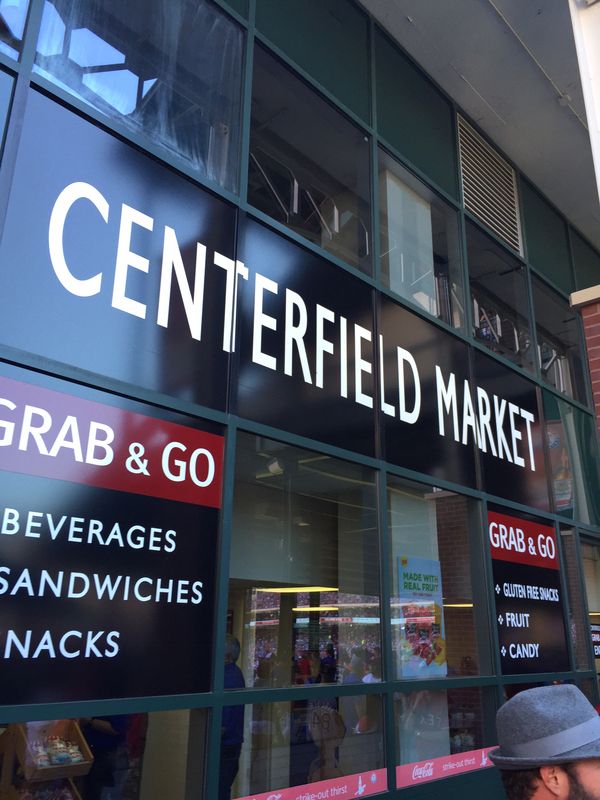 Individually boxed kosher meals have been sold at the Centerfield Market — a convenience-style store at Centerfield Plaza on the first level of the park — since opening day April 4. The meals are prepared by Simcha Kosher Catering as part of a contractual agreement with Delaware North Sport service — the exclusive food, beverage and retail services partner of the Texas Rangers at Globe Life Park in Arlington. “Everybody wants to enjoy the ballgame, and we really want to enhance this experience for our Jewish fans,” said Gregg Maass, retail operations manager for Delaware North Sport service. The $15 kosher meals — available in a fridge inside the store — consist of tuna, chicken or turkey sandwiches, with chips and a cookie. The kosher meals are sold along with the gluten-free foods, cold drinks and ice cream available at Centerfield Plaza. Simcha Kosher Catering is preparing food for the ballpark under the supervision of Dallas Kosher, confirmed Miranda Winer, DK executive director. It is possible this current arrangement might evolve to eventually include hot food and full kosher concessions, but that is still only a possibility right now. Winer said if Simcha Kosher Catering were ever to prepare hot food on site at the Ballpark, Dallas Kosher would need to dispatch someone there to “kosherize” the equipment at the ballpark. Maass said right now he wants to concentrate on how the sandwiches are selling. “Concessions have always been expected to be hot dogs, hamburgers and nachos, but in recent years concessions have expanded into niche diets — and kosher is right up there on those,” he said. The current arrangement was firmed up in mid-February, when Greg Maass met with Simcha Kosher Catering owner, Lowell Michelson and worked out the details. Michelson, an avid Rangers fan, said he sat down in the stands with Maass at a recent away game in San Diego and chatted with him about the idea. Michelson said he is determined to make the current arrangement work. “When guests come to the ballpark they will be able to find a kosher menu and food with approved kosher seals on them,” he said. Michelson said having kosher food at the ballpark should serve as a draw — not only for the Jewish community of the DFW Metroplex but also nationally. Meanwhile, Greg Maass said he is looking for feedback on the kosher meals. He urged kosher customers to email any questions or suggestions to gmaass@delawarenorth.com. These days many of us are obsessed with counting whether it is calories or steps or something else. We have always counted days to different events or counted how old we are or any other “counts” we may be interested in. This brings us to the ritual of today — Counting the Omer. There is a special period between Passover and Shavuot called “sefirah” meaning counting. 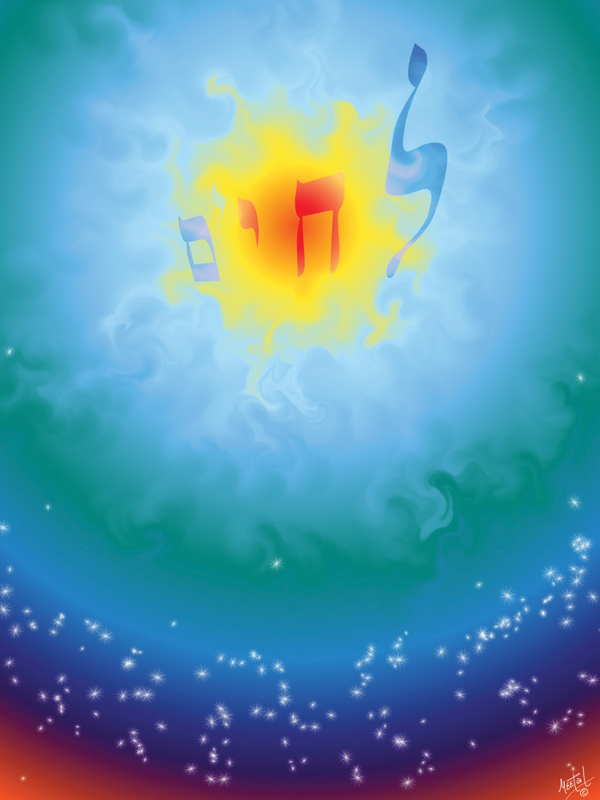 The practice is observed from the night of the second seder until the eve of Shavuot. We are counting the days on which the Omer offering of the new barley crop was brought to the Temple — this connects the Exodus from Egypt to the giving of the Torah on Mt. Sinai. Tradition has it that the Israelites were told that the Torah would be given to them 50 days after the exodus. They were so eager about it that they began to count the days, saying, “Now we have one day less to wait for the giving of the Torah.” The Torah text for this is Leviticus 23:15-16. Throughout time this period has been a sad time because of many massacres in Jewish history in the distant past and now, in modern times. During this time period we observe by refraining from joyous events and other customs. The one “day off” is Lag B’Omer which is the 33rd day. As always, I have a new book to recommend from the Central conference of American Rabbis: Omer — A Counting by Rabbi Karyn D. Kedar. Rabbi Kedar writes in the introduction, “time, in the Jewish consciousness, is purposeful and directed, ripe with potential, and filled with meaning. Yet even as we look toward the future, counting each day forces us to acknowledge and appreciate the significance of the moment. Every day presents us with the choice to stay where we are, to revert to where we have been, or to progress toward fulfilling our destiny.” Her book give us the blessings and the words to say plus something to think about each day. Now if you are not into books (what a sad thing for “the people of the Book”), you can get an app to remind you when to count, what to say and a few thoughts. Sometimes you have to do a ritual to find the meaning — try it and you may find meaning for yourself and your family! Photo: Ben Tinsley The indoor bowl at the Point will be ready for skateboarding April 30. FAIRVIEW — A 19-year-old college sophomore and his business partner plan to promote skateboarding responsibility and safety at their new skateboard shop, which opens April 30. The Point Skate Shop, 181 Fountain Court, at the Village of Fairview, will offer skateboards, helmets, clothes and shoes — as well as a huge bowl inside the shop on which customers will be able to skateboard. Daniel Brodsky, a student at the University of Texas at Dallas majoring in Information Technology Systems, said The Point is much more than a simple skate shop. His partner, Nathan Smith, agreed. Nathan Smith, 27, said he and Brodsky didn’t cut any corners with the bowl. They hired a pro — Austin resident Jason Speer of Speerco Skatepark Construction — to construct it. Their slogan is “Full Service Skateboarding,” Daniel Brodsky said. Before their partnership, Brodsky and Smith worked at the same local skateboard shop for a couple of years when it was under different management and known by the name of Vertigo. Smith said he and Brodsky became fast friends and started bouncing the idea of their own store off one another a couple of years ago. “We kept bouncing it around until we couldn’t ignore it anymore,” Smith said. Brodsky, a member of Temple Shalom in North Dallas, said customers would always be welcome to hang out and learn however much about skateboarding they wish to. “We are really here for the skating community of North Dallas,” Brodsky said. The store will serve quite a large community, Smith said. Smith said he and his partner will guide customers and encourage safe skateboarding with them. “It’s hard to master but with enough time you can really get something out of it,” Smith said. Smith said their shop might also present a very welcome solution in areas in which skateboarding is illegal. There are many areas of Texas where that is the case. The duo’s business dream was made possible when they managed to get a good rate on a crucial business loan, Daniel Brodsky explained. “The stars aligned and it made sense for us to open our own shop,” he said. Their store will be open from 10 a.m. to 8 p.m. Monday through Friday, from 10 a.m. to 9 p.m. Saturday, and from noon to 6 p.m. Sunday. Brodsky said the store would have over 300 boards on the wall at all times. Although costs can range from $100 to $500 per board, the average cost of a skateboard is about $160, Brodsky said. As far as safety is concerned, it is imperative that those who skateboard use protective equipment, according to skateboardsafety.org. Because skateboarders move quickly over hard surfaces, the practice of skateboarding can lead to injuries that range from minor cuts and bruises to catastrophic brain injury. Each year in the United States, skateboarding injuries cause about 50,000 visits to emergency departments and 1,500 children and adolescents to be hospitalized. When skateboarders lose control, they can fall or collide with a motor vehicle, road hazard, pedestrian, other skateboarder or bicyclist. As a result, they can suffer serious injuries, according to skateboardsafety.org. As Daniel Brodsky and Nathan Smith are doing, a growing number of communities provide supervised skateboard parks to help promote safety, the site states. “These may have professionally designed ‘bowls’ and ‘ramps’ or other designated skateboarding areas that are located away from motor vehicle and pedestrian traffic,” the site states. Brodsky said he wants to eradicate any negative connotation of skateboarding that exists out there. “This is something we want to change and bring skateboarding to a larger audience,” Brodsky said. Last Sunday, second-day Pesach, I didn’t attend synagogue services. Instead, I went to the Winspear to hear the Dallas Opera Orchestra peform Shostakovich’s 13th Symphony, Babi Yar. Among the earliest, and still most horrendous, of Holocaust atrocities, Babi Yar happened in 1941, almost immediately after Hitler’s army marched into Ukraine. All Kiev’s Jews were ordered to report to this “old woman’s ravine” with their best belongings for promised resettlement. Twenty years later, the Russian poet Yevgeny Yevtushenko wrote his well-known, not-so-subtle recalling of Babi Yar’s after-the-fact effect on him. He had been only 8 years old when the massacre happened; by 1961, Stalin was eight years dead but repression lived on, and this master poem was a young man’s cry for his country to end anti-Semitism and find again all the values it had somehow managed to lose. Dmitri Shostakovich was not a young man when he read Yevtushenko’s poem. Already over 50, he had capitulated much in the past to his government’s demands in order to further his musical career, but he could not ignore Babi Yar and the outspoken bravery of its author. Yevtushenko was shocked when the composer called, asking permission to set his poem to music. And when Shostakovich learned that there were other poems by the same writer making targeted soft spots of some of Russian life’s hardest realities, he extended his original idea into a five-part, full-length concert piece. He wrote quickly, and by late the next year had completed Babi Yar – not so much a traditional symphony as a series of musical responses to a quintet of very personal writings by a single man – all different, but all centered on that one man’s poetically-expressed criticisms of the failings of his beloved country. The symphony is called Babi Yar, but after its first section come Humor, In the Store, Fears, and Careers. The words to each are Yevtushenko’s poetic descriptions of Soviet life. And they are indeed “out-spoken,” because Shostakovich’s No. 13 calls for full vocal chorus as well as orchestra, with the voices singing the full text of each poem in Russian! So Sunday, I also heard the Dallas Opera Chorus at its finest. The symphony premiered in mid-December 1962. The composer’s prestige assured its Moscow booking, but there was real concern that there would be governmental censure after its first performance, so the original conductor bailed; Kiril Kondrashin should be most remembered for bravely stepping in with his baton. And Yevtushenko himself pleaded — luckily, with success — to keep the frightened singers from walking out at the very last minute. I learned Sunday that this premiere was received with bursts of applause after every section — defying an audience’s symphonic “no-no” — and at the end, a long moment of silence, followed by a wild ovation. And the poet was there himself! Yevtushenko is now a slim, stooped, gaunt old man, leaning on a cane and holding someone’s arm as he entered for a pre-concert opera talk. But his dress was wildly unconventional — truly “poetic!” — and he read Babi Yar aloud in a full, expressive voice. At concert’s end, there was tremendous applause when the spotlight showed him, first balcony front-and-center, proudly beaming. 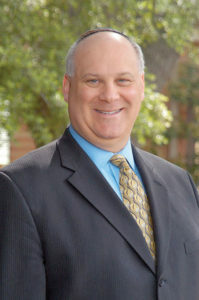 Congregation Shearith Israel quickly responded Thursday, April 21, a day after Senior Rabbi William Gershon abruptly announced his resignation effective April 30. “I want to assure you that Rabbi (Adam) Roffman, Rabbi (Shira) Wallach, Cantor (Itzhak) Zhrebker, and Avi Mitzner are ready and able to meet your individual and family needs. “Each is an extraordinary individual who has the best interest of our shul at heart,” wrote Shearith President Gail Mizrahi in a letter that was emailed to the congregation. The night before, Rabbi Gershon stunned congregants with his resignation, emailed to the synagogue membership in the early evening. In it, he cited the most personal of reasons for his resignation. Rabbi Gershon wrote, “I am very saddened to admit to you and to myself that even as I strove to be present in the lives of so many people, I could not be truly present with myself. I have wrestled for many years with questions of my sexual identity, but was unable to understand, accept and integrate this most personal and intimate aspect of myself. I regret that this struggle led me to take inappropriate actions outside my marriage that caused great pain to my family.” Gershon is married and the father of three grown children. Rabbi Gershon asked that people respect his privacy as he begins the healing process. When contacted by the TJP, Rabbi Gershon declined to elaborate on his resignation. “What I wrote in my letter was sincere and heartfelt and there’s nothing I can add to it,” he wrote in a text message. Mizrahi explained in her April 21 letter that the congregation would contact the Rabbinical Assembly to let them know of shul’s need for interim experienced rabbinic leadership. The synagogue will be forming a search committee to begin the process of looking for a new senior rabbi and spiritual leader for the congregation. “Shearith Israel is a 132-year-old congregation with a wealth of history, integrity and character. While every senior rabbi brings something special and unique to the pulpit, our synagogue has never been defined by one man. Rather, we are defined by the members of our congregation as a community who celebrate, mourn, study, and worship together,” Mizrahi told the TJP on Tuesday. She added Tuesday, “I am honored to work with a dedicated, intelligent and judicious team of officers to help lead our congregation and I truly appreciate the trust of our community. May we go l’chayil u’mchayil, from strength to strength.